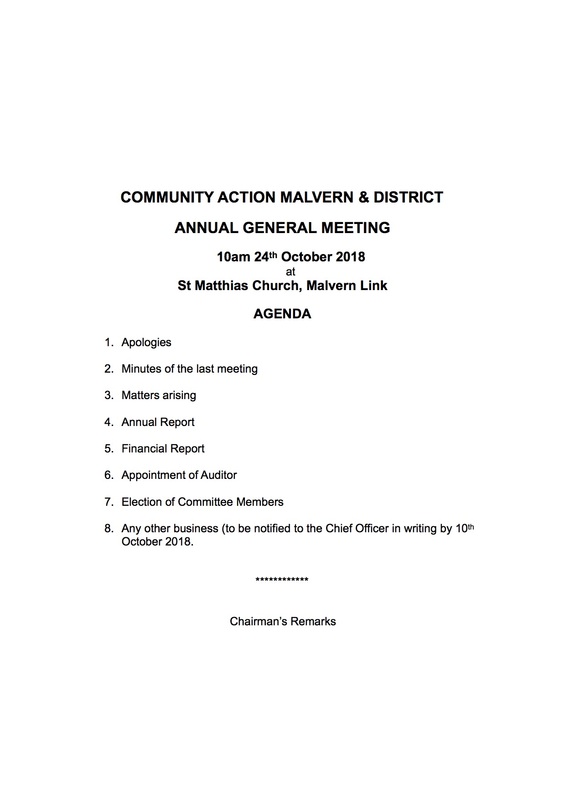 The 2018 Annual General Meeting will take place on Wednesday 24th October 2018 at 10am. It will be held at The Link Room, St Matthias Church, Church Road, Malvern Link. Minutes from last year’s meeting are attached below.